last weekend the boys had a new experience. 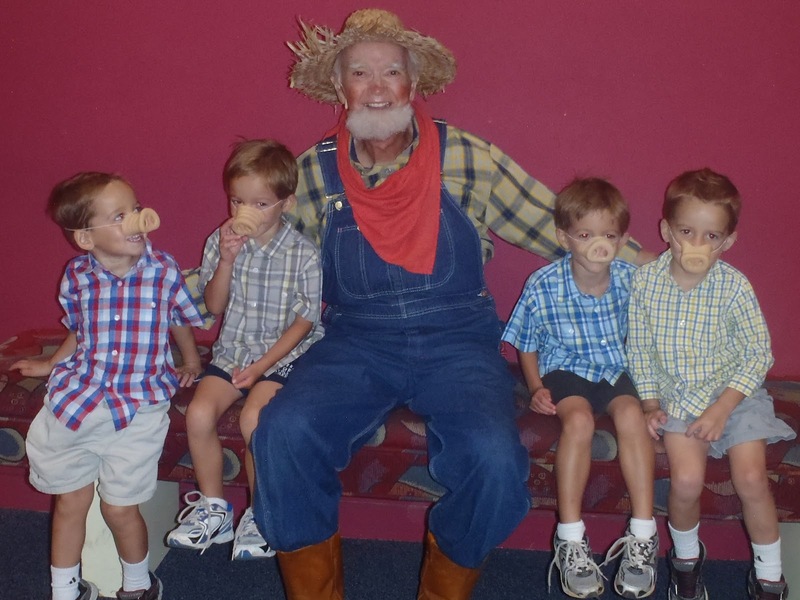 we went to the theater to see the production of click, clack, moo by the naples players. even though the naples daily news panned it, we decided to give it a try – especially since we got the tickets for FREE. free is always good, isn’t it? the boys loved the show and were very well-behaved and engaged. (i can’t say the same for all the parents in the audience – one mother, sitting in the front row played on her phone the whole time – maybe it was a good game of angry birds). clayton announced afterwards that he is going to be in the theater when he grows up. lincoln and colton did not share this humor – but no one cried and they got over it quickly. next, water gun popped out. luckily we did not get sprayed with water too. towards the end some of the boys got to go on staged and dressed up as pigs for a scene. super cute! what i like about the naples players is that all the actors are volunteers. everyone on stage is performing during their free time. that’s pretty cool.